…the drivers now have the chance to argue their case without paying the fine first. In California, the idea of drivers challenging traffic tickets used to be a harrowing one. Not only was the fine on the corresponding ticket(s) required to be paid before deciding to challenge the ticket but the driver was also required to pay a fee for future possible court dates. Recently, to the relief of many, that all changed. Public outcries of drivers losing their licenses over unpaid traffic tickets led the leaders of California’s court system taking emergency action. In an unanimous vote, judicial policymakers voted to end requirements that drivers pay their fine(s) on unpaid tickets before being allowed to challenge them in court. In the past, drivers faced with daunting unpaid traffic and parking tickets that outweighed their means have continued to drive while navigating court dates and fee. Since 2006, this old process had led to nearly five million Californians having their licenses suspended. Unpaid tickets have soared in cost in the past ten years as the state of California has attached a variety of fees and interest charges to these tickets to help pay for various programs across the state. As one example, a ticket for running a red light was a $103 in 1993 and had risen all the way to $489 in 2012. All because of fees tacked on by the state of California. The ruling by the Judicial Council effectively ended what was called a “pay-to-play” system. In this system, drivers with tickets were forced to pay their fines before contesting the ticket. Under the previous rules, the fine acted as bail for the driver before they could even move forward with contesting it in court. More fees would accumulate and often drivers faced a dilemma: Pay rent or risk losing your driver’s license by not paying mounting fees. With this new ruling, the drivers now have the chance to argue their case without paying the fine first. Yes, court fees may still apply but at least now the driver has the opportunity to contest this traffic violation without having to possibly dole out hundreds of dollars up front. Keep in mind that though the rule has changed, it doesn’t necessarily give relief to drivers who have already missed their first court date due to failure to pay. Judges will also still be able to use their discretion to charge “bail” if they believe the driver won’t show up for trial. In these situations drivers would still have to pay the full cost of the traffic violation before receiving the right to challenge it. Technically this new rule is effective now but courts have until Sept. 15 to fully comply. This deadline provides ample opportunity for the courts to ensure their forms and websites reflect the new rule. The new ruling is a great first step in addressing the access to justice issue that has hindered many drivers over the years. The focus can now shift to other issues such as reducing the cost of delinquent fines, examining better payment plans, and hammering out the reinstatement of drivers licenses. With this ruling, state legislators are finally paying attention to a broken traffic violation system. For years, fees mounted as drivers were unable pay simple parking tickets all because of what was required to contest it. Mistakes can also occur within the system, whether it be by law enforcement, court system, or the postal carrier. People were essentially being forced to pay before a due process even took place. Under the old system a driver could be “guilty until proven innocent” just based on the fact of them having to pay the fine first. Now, with the new ruling, drivers can contest the ticket without facing the guilty suspicion and paying the fine beforehand. Still, the new ruling has its fair share of opponents. 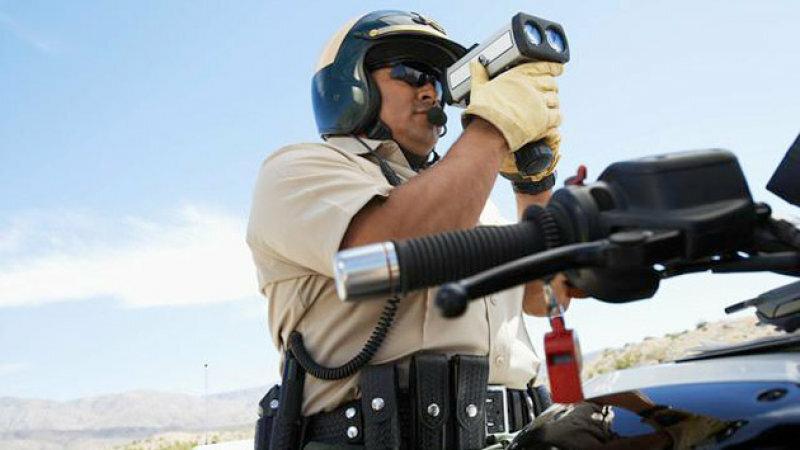 $10 Billion in unpaid traffic tickets is still owed to the state of California. Opponents argue that not enough is being done to alleviate the money owed by the less financial fortunate of the state. Though the Judicial Council eliminated the action of paying the fine up front when contesting the ticket it doesn’t solve the issue of larger court fees and late fees of the tickets. Many people, including judges, fear that this new rule will inundate court courts with request for trials. These people believe it will waste the time of court employees and law enforcement officials, preventing them from utilizing their resources to their full extent. In the end, this new ruling is at least providing an opportunity for drivers to initially take action without their wallets taking a hit. Or their licenses, for that matter. Instead of driving around on a suspended or invalid license due to a ticket for expired tags in which the DMV may or may not have sent out late, drivers will now get the opportunity to plead their case without having to hand over a fistful of dollars before the process plays out. Many are embracing this new rule as long overdue and are welcoming it as a development in the right direction. In a flawed system in which ticket upon ticket and fines upon fines can pile up without a driver ever getting a chance to contest it, this new rule is certainly a positive step forward. For drivers in the state of California, the Judicial Council has provided a small victory in which they can rejoice.